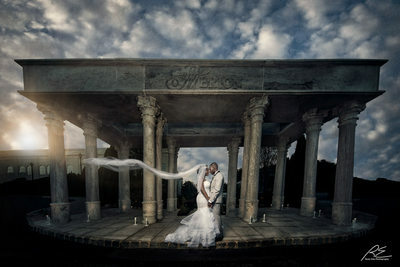 We are Ryan Eda photography, a Philly-based studio servicing the Philadelphia, NJ and NYC areas for wedding photography. We also specialize in engagement sessions. Our favorite venues include Finley Catering, Cescaphe Ballroom, Waterworks, Downtown Club, Vie, Ballroom at the Ben, Crystal tea room, Hyatt at the Bellevue, The Logan, The Lucy, One North Broad and some of South Jersey's best venues such as The Merion Caterers in Cinnaminson, Lucien's Manor in Berlin and Collingswood Ballroom. We also photograph Indian Weddings, Greek Weddings, Jewish Weddings, Italian Weddings and all others. Our images then turns in to spectacular pieces of art as we specialize in heirloom quality artwork such as our signature albums and showstopper wall art prints. 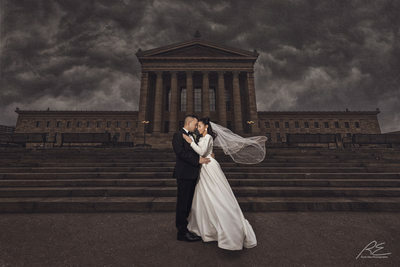 Philadelphia Wedding Photographer Ryan Eda photography select award-winning images are known for its distinct cinematic and dramatic look that puts the view through an experience like no other. Our studio is also known for its top-notch customer service. Our couples that have left amazing reviews for us on Weddingwire and TheKnot all were so happy with our incredible experience that we create for all of our client that works with us. Combined with our unique imagery, and second-to-none heirloom artwork, is why we are the one of the most sought after studios in the Philadelphia area for weddings and engagements. All of our couples walk away with the most breathtaking albums and wall-art that would make you relive your day all over again, and have a statement piece from your big day hanging on the walls of your home. You have come to the right place if you are looking to have your wedding day documented in the most artistic way and have the best client experience to enjoy your special day. We would love to work with you on your wedding day in Philadelphia or South Jersey, in Cescaphe or at Finley, and deliver you the best! Our pricing guide and collections can be easily requested through calling us (267-603-1016), emailing us (ryan@re-photography.com) or simply filling out our contact form. We offer different collections at different tiers that ranges on what is included, albums, time of coverage, engagement sessions, second photographers , parent albums and a host of other options. Our signature handmade Italian albums are what we are best known for as far as wedding photography studios in the Philadelphia area, and we would love to create a custom art book for you and your family. Schedule a consult with us and let us show you how we can serve you better on your wedding day and engagement!